Want to know the best way to make sure no one comes to your church meeting? Tell them it's about Fundraising. Want to know a way the pastor could make that meeting really, really interesting? At the end of his pitch, he calls up the elders and deacons, hands them the microphone, and asks them to announce how much they plan to contribute. Sound like a meeting that you would want to go to? Maybe if you're not an elder or deacon. Here's what living in Tanzania has taught us about that Dreaded F Word. You might be surprised. The church leader stood up front at the end of the service. 40 kilos of rice for $1.50 a kilo....."
And he continued on with the list. When he was done, he asked, "Now, who wants to contribute?" A middle-aged man stood up. "I'll contribute $7 for a case of soda!" he said enthusiastically. Everyone clapped and cheered. An older teenage girl raised her hand. "I'll contribute $2 for carrots," she announced. Again, applause filled the room. Then they really got going. The enthusiasm was infectious, and hands rose across the room. The church leader quickly wrote down each donor's name in his book. A sophisticated man in a business suit spoke up. "I'll donate the money for 40 kilos of rice," he called out. This was a major contribution, and it produced a huge reaction from the crowd. The ladies brought out their joy cry, a high pitched undulating sound found only in Africa. The church leader up front laughed and nodded. "When you come to church wearing a suit, then you need to make big donation," he joked. Everyone joined in the laughter. After about 20 minutes, all the food was spoken for. A couple weeks later, the event went on without a hitch. A few months later, we were at a big open-air anniversary celebration for (the equivalent of) Inter-Varsity in Tanzania. There were a few hundred people in attendance, and many of them had come from other parts of the country or even other African countries. There were speeches; there was singing; there was a celebration of God's goodness over the years. Towards the end, one leader got up and started talking about the need for fundraising. He gave his appeal, and then grandly announced, "And I will start right now by donating $500!" The speaker then invited the 20 or so other leaders to stand up and join him. Giving the mic to the first person in line, he asked for each leader to announce his or her donation. The bar was set high at $500, so most of the others agreed to the same amount or more. Giving is public in Tanzania. The scenarios above are normal. Every Sunday, the offering basket is placed in the front of the church, and when it's time in the service to give, everyone walks up (or dances!) and contributes. As you can imagine, this has taken some getting used to for us Americans. We come from a church culture that is almost fanatically quiet about money. Pastors are terrified to preach on the subject. It's taboo to talk about money, it's shameful to ask for it, and monetary giving is just about the most secretive subject. So who gets it right? The church culture which publicly announces its donations? Or the church culture which treats the information like FBI secrets? Let me get one thing straight: The Tanzanian Church doesn't always get it right. There are lots of abuses of money in certain churches here, like when elders are chosen based on their financial status or when churches seat the rich people up front in the comfortable seats and leave the poor to the benches in the back. But both the church and the ministry in my above examples are solid in their integrity and their commitment to God's Word. Do we have something to learn from them? In American church culture, we fixate on Jesus' words in Matthew 6: Giving should be a secret. But what about the context? Jesus is teaching that we shouldn't give in order to gain the praise of men. Directly after he talks about giving, he teaches that praying should also be in secret. Yet does that mean that we are never to pray in public? Of course not. It's a heart issue. Think about the story of Ananias and Sapphira in Acts 5. They were patterning their giving after Barnabus, who must have publicly made a donation to the Church (how else would they know about it?). God struck them dead not because they were making a public donation, but because they sought recognition that they did not deserve. I am not commanding you [to give generously], but I want to test the sincerity of your love by comparing it with the earnestness of others. What?!? It's okay to encourage people to give more by comparing? So what does this mean? Is it possible that the Tanzanian Church has it right in making the ministry of giving a public event? How can that be a good thing? We American Christians protest! Won't it encourage people to give for the wrong reasons? Won't it make them puffed up and prideful? Consider this: In Romans 12, giving is listed as a spiritual gift. Do you know anyone with the spiritual gift of giving? I do. We value each and every member of our support team, but there are some who stand out as having the gift of giving. Since people are pretty tight-lipped about this sort of thing in our culture, I don't know exactly how much they give in total. But by looking at their lifestyles, considering what they donate to us, and a few other clues, it's obvious they have this gift. One retired couple on our support team lives a comfortable life, but certainly not ostentatious. Yet they give away thousands (yes, you read that right) of dollars every month to missions and ministry. Another retired couple has lived in the same middle-class tract house for 35 years. They give away 40% of their income every month to missions and ministry. One family on our support team lives on one income and homeschools their large number of children. They live in a very modest tract house. Yet they give away probably at least $1000 a month to ministry and missions, most likely in addition to their tithe. These people have the gift of giving. They are very intentionally living far below their income for the sake of the kingdom of God. Many of my readers know them personally. Yet, it's not acceptable in our culture for me to give you their names. In Romans 12, the spiritual gift of giving is listed right alongside of the gifts of leading, encouragement, and service. So why is it okay to have a "Pastor's Appreciation Sunday" and a "Youth Ministry Worker's Lunch," but never show public appreciation for the givers? Doesn't the pastor have just as much temptation to take that glory for himself? Won't that put youth workers at risk for doing ministry with the wrong motives? No matter what recognition we receive for any of our spiritual gifts, isn't it our responsibility to make sure our hearts are right before God? So what would be the benefit of publicly honoring those with the gift of giving? Well, for exactly the same reasons why we honor anyone's gifts! Because it spurs us on to know that God is using us. Because it spurs others on to see how God is using them. I'm playing the devil's advocate today. Do I intend on publicly announcing our donors? Of course not. Am I even certain that the Tanzanian Church has got it right on this issue? No, I don't. But it's worth considering. It's always worth taking a look at another country's church culture and challenging our own, because we don't always have it right. 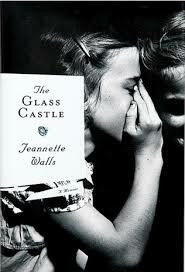 Girl meets Boy, they fall in love, Boy gets into a car accident and becomes brain damaged, Girl marries him anyway. An almost unbelievable story apart from the gospel. Beautiful and inspiring. 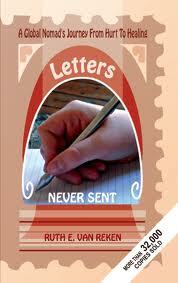 This book is the story of two men and their unlikely friendship. I was bothered by aspects of Ron's story and his theology, but Denver's story is gold, and makes the book worth reading for his glimpse into a life of sharecropping and homelessness. This book doesn't mince words. It cuts to the heart of our desire for recognition and praise. Is there anyone who wouldn't benefit from this kind of conviction? Not a long book--an easy read--but good for the soul. 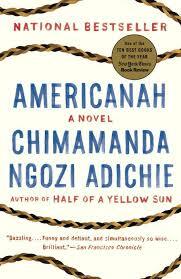 The fictional story of a Nigerian young woman who immigrates to the U.S. I didn't particularly like the main characters or the choices they made, but as an insight into the lives of African immigrants to the United States, this book was brilliant. It's as educational as non-fiction, yet deeply engages its readers through narrative. Are you Mom Enough? No, you're not, and you never will be. That's why we need Jesus. 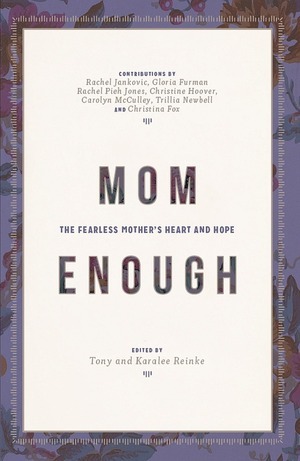 This is a collection of essays that is encouraging to any Christian mom. 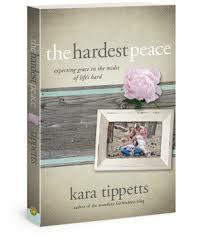 The last words of a young mom dying of cancer, this book is as heart-wrenching as you would imagine it would be, yet full of grace and hope and peace. 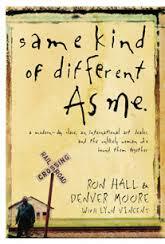 A fascinating memoir on growing up poor in America by very eccentric parents. Beautifully written. What I found most interesting about this story is how it pokes holes in the politically-correct reasons behind poverty. One of those books I can't stop thinking about, days after I finished it. Can you tell I've been into memoirs recently? Hard truth about the challenges of missionary life, told from the wife's perspective. Transparent, compelling, thought-provoking, and hopeful. 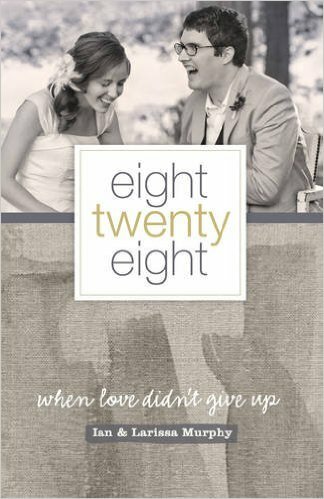 I really recommend this one for missionaries everywhere--especially wives. 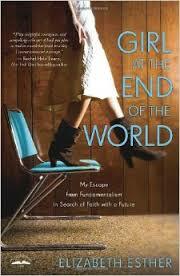 Memoir of a young woman who grew up in a fundamentalist "Christian" cult and how she eventually escaped. Though her story is extreme, it's an important book to read because it shows how easy it is for Christianity to go haywire when grace is thrown out of the picture. A somber warning indeed. Published in the 80's, this book helped to bring about the "Third Culture Kid" movement, which has identified those characteristics of young people who grow up in between worlds. 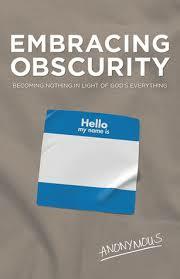 Recommended for missionaries or adult TCK's, or for anyone who wants to understand them. In the age of Ferguson and Baltimore, this is a really significant book to read right now. 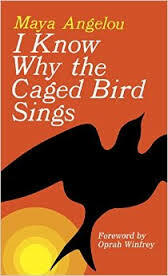 This biography is stunningly written--it's easy to tell why Angelou was also a poet. Important book, but deeply disturbing and definitely not for anyone under 16. 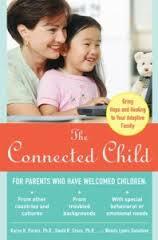 A MUST read for any adoptive parent. I put off reading this book for a number of years because I thought it was about attachment, and my kids have never struggled with that issue. But it's really about so much more than attachment and delves deeply into the behavior of adopted kids, why they act they way they do, and gives very practical advice on how to help. He's going to be our new son, and we are hopeful he will come home in just a week or two. We can't wait! John is his orphanage name, and we thought about changing it, but the more we thought about it, we couldn't imagine calling him anything other than Johnny. We pray the same for our John Jeremiah, whose young life has already seen more pain than any person should have in a lifetime, but who is now being redeemed. May his roots one day find the same stream. "I'm from Moshi," Grace would always proudly announce. Yet she had never been there since she was 10 months old. So one of the main purposes in our road trip was for Grace to finally see the city where she was born. There's a lot of questions about her history that we won't ever be able to answer, so we want to be able to fill in as many holes as we can. Grace needed to see Moshi and her orphanage--to put together a few more pieces of her identity. So we drove 340 miles up north to Moshi, the city that rests in the shadow of Kilimanjaro. She saw the building where she lived until she was 10 months old; she toured the orphanage and she met Mama Lynn, the founder of Light in Africa and the woman who welcomed her as a newborn. This visit was meant to be all about Grace, but I found it to be a pilgrimage of my own. It all came rushing back to me--the first time I met her, the three subsequent trips up to Moshi by myself to fight for her paperwork, the social worker who battled me on it. I was relatively new to Tanzania, new to adoption or even any kind of parenting. That same year, I had a miscarriage and had gotten my hopes set on two other children whose adoptions fell through. I wasn't just fighting for a child, I was fighting to become a mom. The wait felt excruciating. It finally ended on November 1, 2006. Grace entered our lives with her sunshine, and our lives were never the same again. God has been so good to us. It was good to remember. Road tripping in Tanzania is nothing like road tripping in America. First of all, the roads are indeed paved, but all of them are only two lanes with no center divider. Which means that you share the space on the road with enormous buses and semi-trucks, at 70 miles at hour, many of them in chicken contests, passing into oncoming traffic. Heart attacks abound about every five minutes. There ain't no cruise control out here. Police stand on the side of the road with speed guns, which adds to the heart attacks since the legal speed limit is constantly changing. It often feels as if the color of your skin, not your speed, determines how often you are pulled over. Bathrooms are as scarce as the ever-elusive leopard, yet when you do find one, you wish you had just used the bush along the side of the road. Fast food consists of mushy fries and tough meat...we ate a lot of peanut butter. Yet when you see these pictures, I'm guessing you've never had these sort of sights on any of your American road trips. Makes it all worth it. We have an intern, McKenna, visiting this summer, and we wanted to show her (and our kids) more of this breathtakingly beautiful country. We were not disappointed. It was a great week. See the little bumps on the left? Baby. Oh yes. Sure, let's put a viciously aggressive King Cobra in a cage that has cardboard around the glass and holes in the wood. Then let's provoke it so that it shows its hood to the visitors. Sounds like a great idea. Occasionally in Africa, we do actually swing on vines. Visiting a Masai village. Learning about the Masai is standard business in first grade at HOPAC, so we felt like it was important that our kids got to see the real thing. ....aaaaand they dressed me up. And then laughed at me. I can't say I blame them. The Masai are some of the most beautifully elegant people I've ever seen. This white girl just can't compete. We drove for a half hour on a road so bumpy we thought our teeth would fall out, but were rewarded at the end by a natural, crystal clear spring. Oh yeah....and monkeys jumping around over our heads, dropping seeds into the water. Utterly amazing. Have You Been De-Wormed Lately?